what happened to me in 2006.
the year started with me living with my in-laws in etobicoke after a flood at our old place forced a hasty relocation. after about a month of setting up, i got my studio running and finished the remaining tracks for madingley. in january i played a fun set as part of vague terrain. in march i went to india for the first time. in june i went to montreal for mutek. in august we moved into a house in leslieville. in october madingley was released on noise factory records. 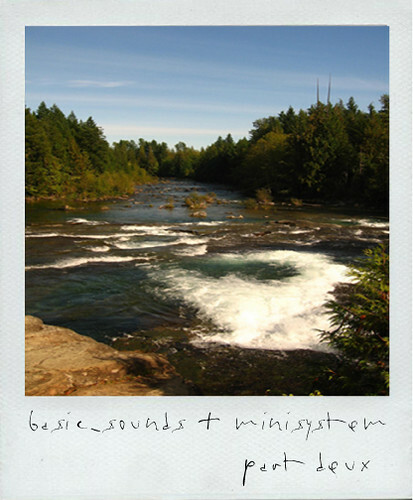 in december i did a mix with my friend basic_sounds which you can download here. you can now purchase madingley from itunes. click the link above. the album is also available for download from emusic. better late than never. a release party for madingley will happen on saturday, january 27th, 2007 at UNIT, 1198 queen street west in toronto. details are still in the works. at the moment it looks like my mate prhizzm will be up there with me for some dual improvised interpretation of tracks from the album. jason amm (aka solvent) will do some djing. more details to be announced. there have been a few nice reviews of the album, most notably in uk club mag M8 and, apparently, in future music. there's also a review and an interview from indie rock bloggers rock sellout. this thursday, december 7th, i'll be doing some djing for !BESO JODIDO!, a weekly thursday night at the chelsea room, 923 dundas west. this week's installment is a release party for shen's cd, outlines.